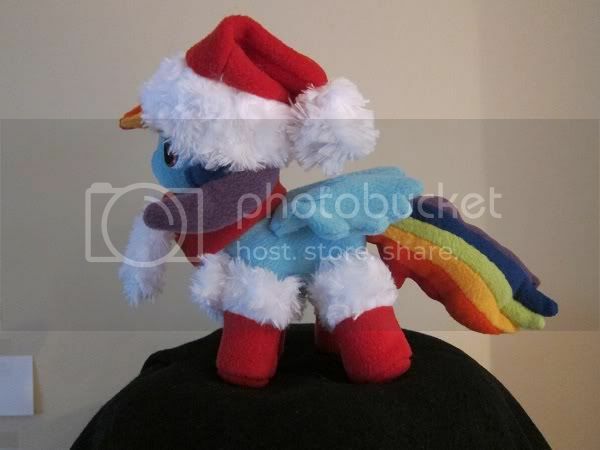 3 Day Auction on a Holiday style Rainbow Dash. ^_^ I can't wait to make the full switch to using Minky but I have a lot of fleece left that I use for testers for my embroidery...seems kinda sad to just toss out eyes and cuties marks that are near perfect. She's gorgeous! I'm sure she'll sell. If you plug the link on a certain brony site, I'm sure it would drive the bids up!